Ski season is quickly approaching!!! And we've got some great military deals for this 2014-2015 season. "The Rocky Mountain Super Pass Plus gives you unlimited skiing and riding at Copper and Winter Park / Mary Jane, six days at Steamboat, and we've plussed it even more with three days at Monarch. Zero blackout dates." 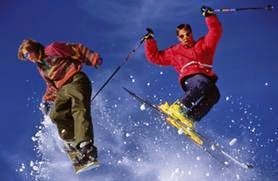 Unlimited skiing and snowboarding at Loveland Ski Area plus 10 free days at Monarch, Durango, Crested Butte and Silverton. *All require military ID. Some restrictions apply, especially on holidays. Some allow military members to buy more than one pass for friends/family. Others require all tickets to verify military status. Please visit website and/or call the resort for more information. KNOW OF ANY MORE? COMMENT BELOW! Like what you read? Want more deals for military?